If you're travelling, you'll need a map. Thankfully we have more options these days than in the past! Always pull off to the side if you're going to open up a map. When I was a kid and my dad would take me on trips (he used to drive truck) and I'd get to hold the giant, laminated road atlas and navigate. I'd always be a bit concerned about how old it was because the constant construction meant the streets were always changing. Now I rely on my phone for direction. If we're anywhere for at least a week, we will pick up a local SIM card and sign up for pay-as-you-go data. North America is the only place where this is even remotely expensive. Europe is very reasonable and most of Asia is down right cheap! My collection of SIM cards. 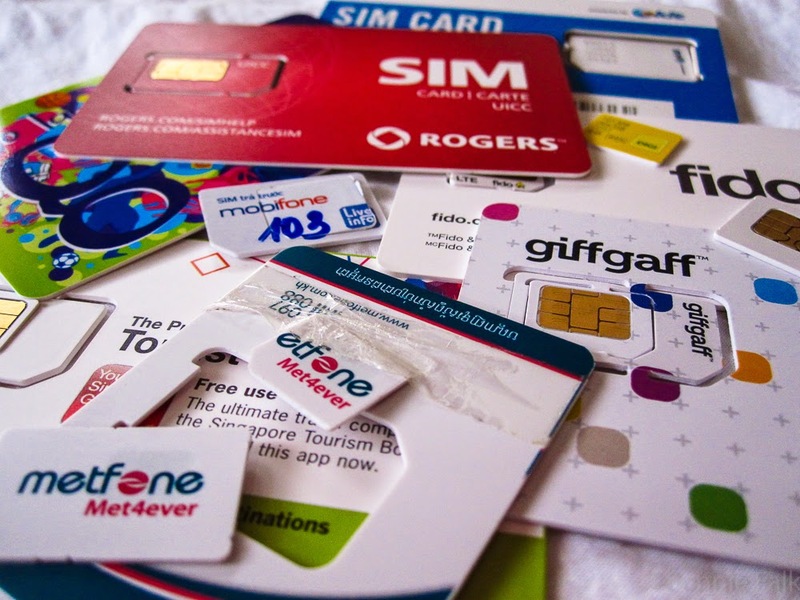 You can often pick up a SIM card for about a dollar and then anywhere from $3 to $15 will get you more than enough data for maps and facebook and twitter and e-mail or whatever else you on-line for the week or even a whole month. We try to read travel forums before we go to find out what the best deal for tourists is. You want something with instant, easy set up and a short-term plan that fits your trip. This is especially great if you're travelling in a group and want a way to communicate if you're venturing off on your own! When you check into your hotel (hostel, b&b, inn... whatever...) the front desk will often have a helpful map of the touristy part of town. This may have points of interest, restaurants to try and even your hotel on it. I do like keeping a one-page paper map in my pocket for easy access while wandering around. 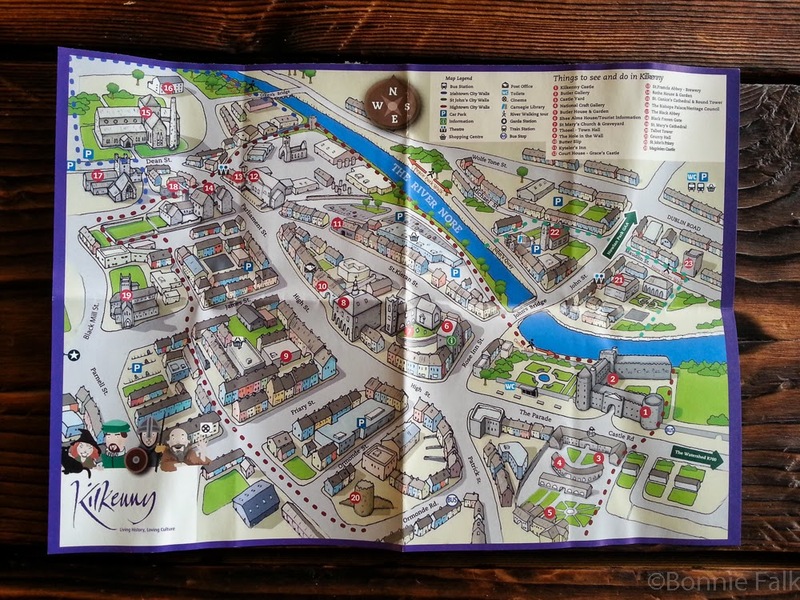 If you don't get one from your place of accommodation, tourist information should have them. Assuming they are open. If you're in a smaller town, they may keep business hours. Probably the worst map ever. Note the compass rose. Also, 15 and 17 are about four blocks apart, not across the street. A small creek runs between them. You have to cross a bridge. I can't read a map very well. My boyfriend and I had to use mapquest today to find a place I needed to go and I almost got us lost from that. I also got lost a block from my job and two blocks from my apartment today, by coming out the wrong street and not recognizing anything, so I went the wrong way. It might be best for me to just hand the map to somebody else and tie myself to them with a rope. I love maps. We try to drive wherever we go, and maps are getting harder and harder to find. Are they really? Every petrol station had them when I was road tripping as a kid. It just seems cruel to tourists. I hope your maps at least understood cardinal directions! Very good point! One needs to be careful.